The 501(c)(3) of the National Writers Union exists for the encouragement and education of writers and writing. The WorkersWrite! Project of NWUSO has a specific mission to enable the unheard voices of workers, immigrants and the disabled. WorkersWrite highlights the stories of workers. This effort to collect workers’ stories is a project of the National Writers Union Service Organization (NWUSO). Through www.workerstories.org, NWUSO publishes stories written by workers or those who interview workers in various labor areas, and seeks contributions from NWU members nationwide. NWUSO also supports efforts by National Writers Union members to seek out specific grants or other supported programs for general education of writers. Contact us to learn more or get help with grants. 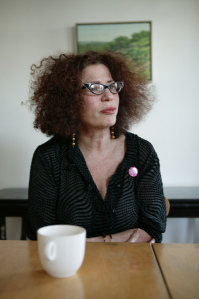 Esther Cohen, Executive Director of NWUSO (Workers Write), the nonprofit arm of the National Writers Union (UAW) is a longtime advocate and organizer of cultural affairs. Esther Cohen, Executive Director of the NWUSO, is the former executive director for Bread and Roses, the nonprofit cultural program affiliated with the Service Employees International Union (SEIU Local 1199) in New York City. She is also a consultant with the state Workforce Development Institute, the Remember the Triangle Fire Coalition, Jewish Currents Magazine, Workers United, LaborArts.org and the Clara Lemlich Awards Program. She teaches at Manhattanville College, created and directed the UnseenAmerica national program for worker expression, and is a published author of five books, among other work. She is on the board of The Puffin Gallery for Social Activism Museum of the City of New York, The Puffin Foundation, Citylore, Palestine Israel Journal, Alimentum and The Road to Peace. Terry Schwadron, Treasurer: Former senior editor, New York Times, deputy managing editor Los Angeles Times, writer, editor, tutor, teacher, musician.